Royal Caribbean International is an award-winning global cruise brand with a 50-year legacy of innovation and introducing industry “firsts” never before seen at sea. Royal Caribbean wanted to attract a younger audience. But how could the cruise line shatter misperceptions and become culturally relevant among “new-to-cruise” consumers? We capitalized on a buzzy cultural moment, the upcoming total solar eclipse. The answer was written in the stars. We turned a cruise ship into one of the most desired destinations on Earth. It completely sold out, with the last room selling for more than $15,000, and generated $500,000 more in revenue than the same cruise the previous year. But perhaps most impressive of all, the average guest age on the sailing was lowered by five years. The 6.3 billion media and social impressions generated by GMA, TODAY, CNN, Time, BuzzFeed, E! 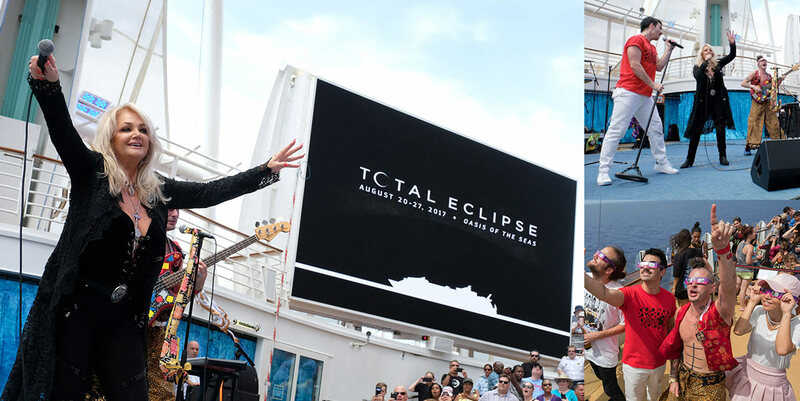 News, Jimmy Kimmel, The New Yorker and others was a nice bonus, of course, surpassing all other brand activations around the eclipse.